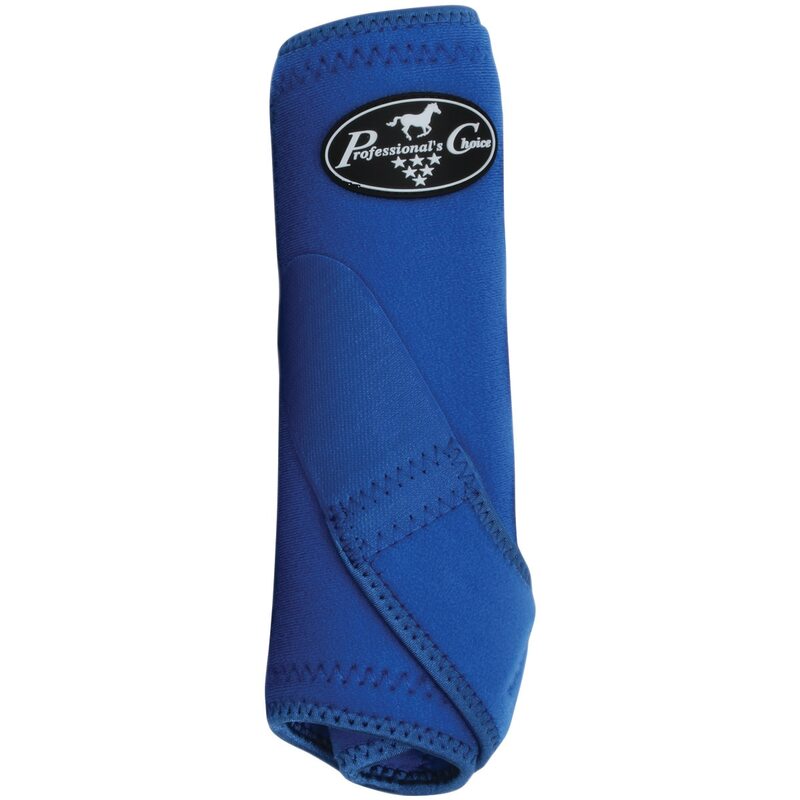 Professional's Choice Sports Medicine Boots are the best selling equine leg products in the world. They have protected countless performance horses over the years in every imaginable event, including polo, jumping, reining, barrel racing, endurance, working cow horse and many others. 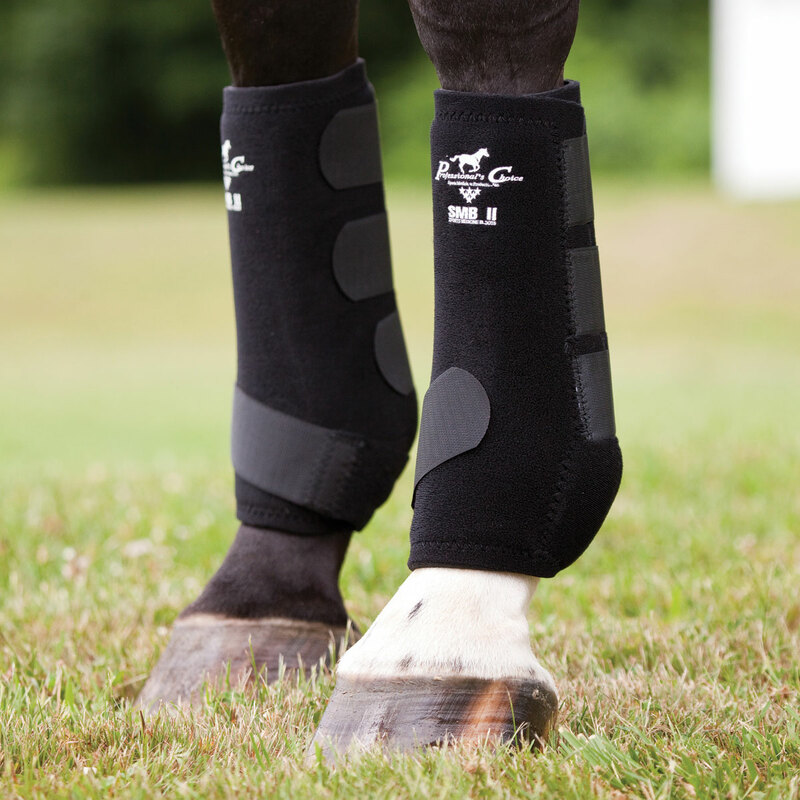 For many horses, these boots have meant the difference between an extended career and periodic or permanent injuries. Professional's Choice Sports Medicine Boots are made of the highest quality closed-cell, limestone-based neoprene that won't crack or crumble, and returns to its original shape even after thousands of uses. They feature all-way stretch for comfort and support. Pair - can be used as front or hind boots. Professional's Choice Sports Medicine Boots II is rated 4.5 out of 5 by 59. Rated 5 out of 5 by Jan B from Love them! Love them so far! 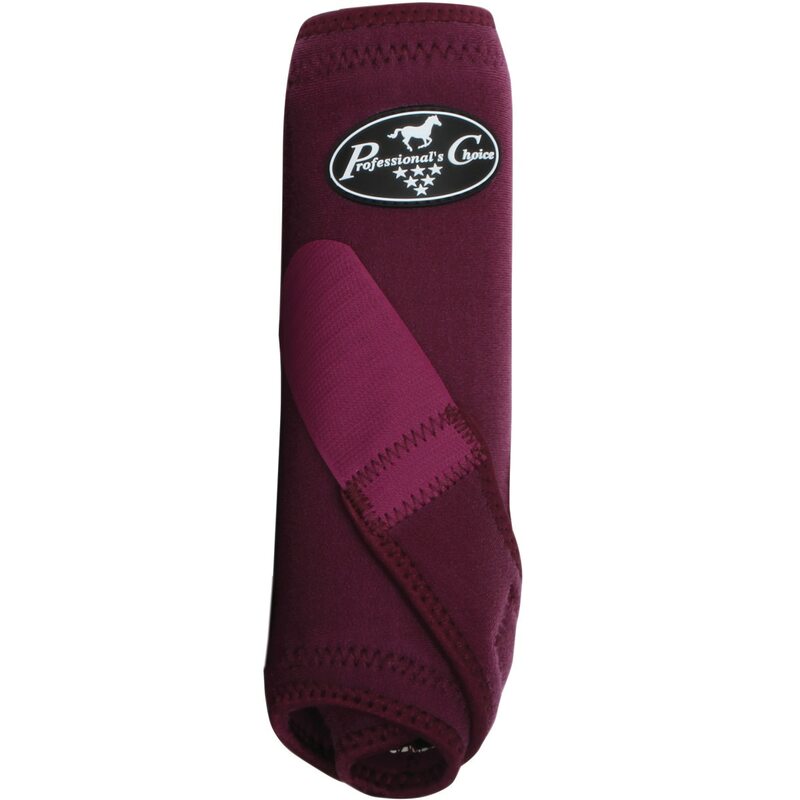 Bought these to put on my mare when she is turned out, because she keeps running into the fence and banging up her legs. Because this is SoCal, and we live in dust and dirt, I needed something that I could easily shake out or rinse off the dust. Also wanted the support these provide, as she is a 4 yo OTTB that was rescued from a rescue, and I want to make sure she won't injure herself while she is being brought back into condition and re-started. These are definitely the perfect boot for the job. They are very well-made, and I believe they will last a long time. Rated 5 out of 5 by ashersn2it from Easy to use These look just like the photo. 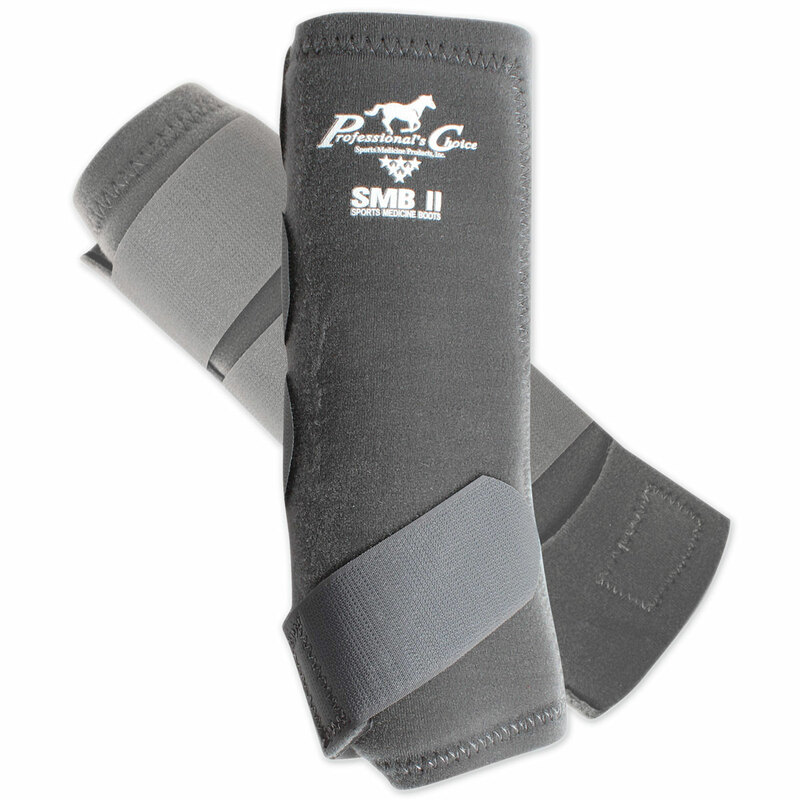 They are easy to use and have helped my horse a lot. 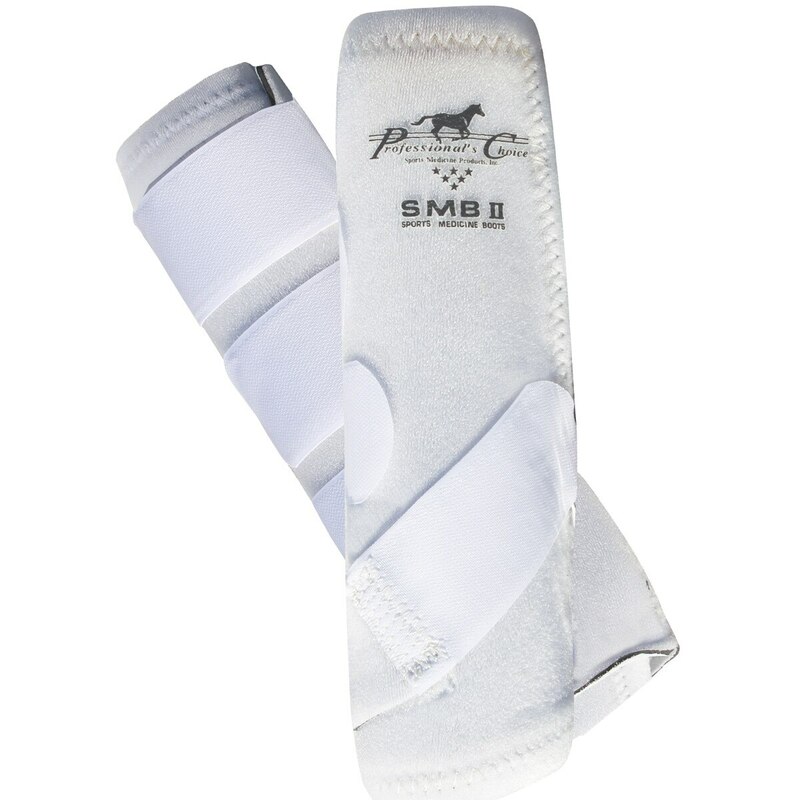 I recommend these to anyone to who wants to help support their horse's ankle. Rated 4 out of 5 by anniemh from Love the new boots! These boots replaced a very sad looking pair of fleece lined boots and are just great. The 4 velcro straps ensure that you can fit the boots exactly as you want them. The sizing is generous so I could probably have gone with small instead of medium, but overall I am very happy. Rated 4 out of 5 by josT from Hope they last a long time Bought these as my gelding has a right hind suspensory injury. That right hind boot has been fitting fine but it's taken a while to figure how how to put the left hind boot on so that it can't wrinkle/ride up under the suspensory strap. The sizing seems to be correct based on my fetlock and cannon measurements and what professionals choice said should fit. They were a great value because I got them at a discount of about 50%! No idea if they're preventing further damage to the suspensory but they should help. Rated 5 out of 5 by Lulu from Nice boots Finally had to replace a similar pair of Professional’s Choice boots that I’d had for 20+ years. Not in use continuously for all those years, but impressive nonetheless. 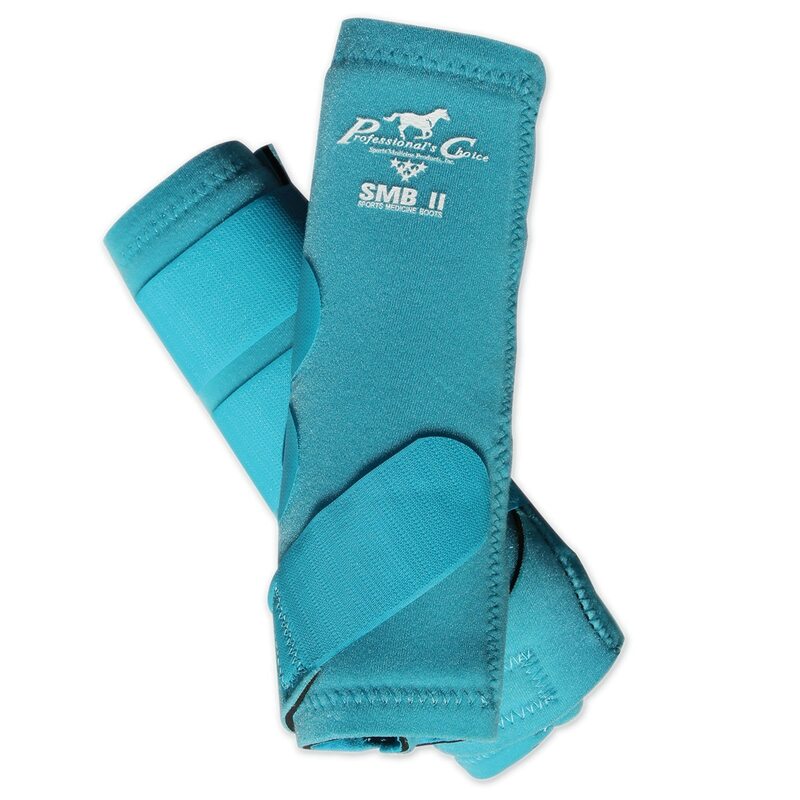 These seem very supportive and the size small fits my 14.3 hand horse’s front legs perfectly. Rated 5 out of 5 by Leota from Great fit. Easy to use. Size accurate. Looks great. Good quality. Velcro has amazing sticking ability. Rated 5 out of 5 by Bluesmom from Great support boot I have a draft cross whose hooves could be a bit bigger to support his body. I bought 4 SMBs to support his tendons after noticing some tendon selling in one front leg this summer. I started using SMBs 20 years ago, and I am very happy with the performance and function of the updated SMBS. I fox hunt him in these boots, as well as hack out through challenging terrain and use them for ring work. The boots hold up to mud, water crossings and the usual bush-wacking. Highly recommend this product. Rated 5 out of 5 by Lucy47 from Great sports boots! Great boots for extra support for my horse's front legs. Rated 5 out of 5 by CJJ2 from Easy to use I bought them in November and used them last week. I really like the easy to use velcro straps.